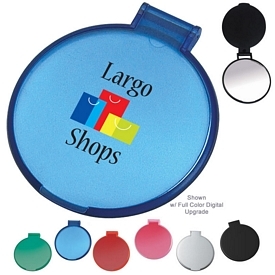 Promotional Pocket mirrors will help your Company Shine! 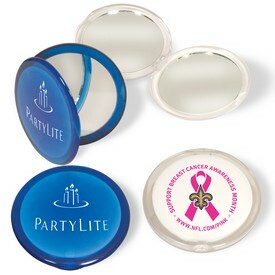 The Executive Advertising customizes promotional pocket mirrors with your company logos. 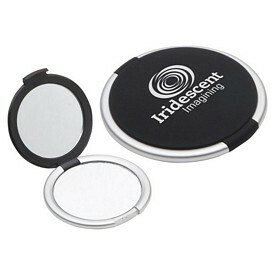 One example is the promotional Vaulmark Double Pocket mirrors. 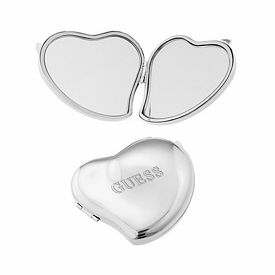 The custom ABS plastic case has two mirrors that is one regular mirror and one magnified mirror. Promotional screen printing is done on the silver case. 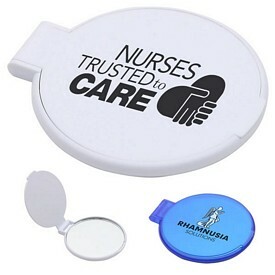 We can provide free 24 hour rush service on customized pocket mirrors. 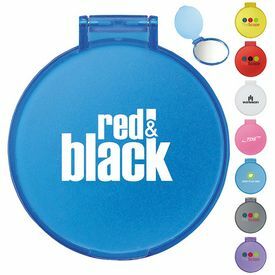 The Round promotional pocket mirrors are perfect travel buddies. The round shape gives a large imprint area where you can opt for a multi-colored imprint. 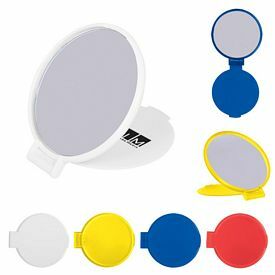 You will get the customized pocket mirrors in solid colors like white, black, or silver and in translucent colors like blue, red, pink, or green. We offer a free color logo imprint and free artwork eproof with every custom printed order. 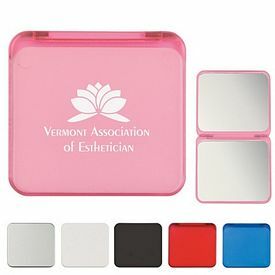 The logoed square pocket mirrors with LED light can be ideal giveaways for salons, cosmetic companies, hotels, and spas. The custom Led light is automatically activated once you open the case. 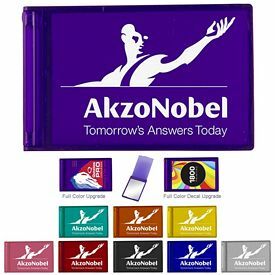 We will provide batteries, one color logo imprint, and an artwork eproof. 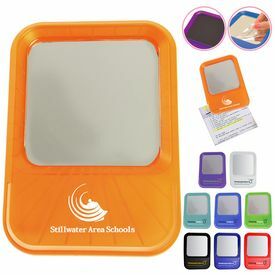 You can buy the promotional advertising mirrors in colors like pink, white, silver, royal blue, red, or lime green. 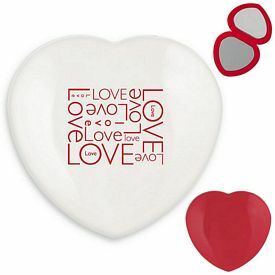 We also offer the customized pocket mirrors with free 24 hour rush service. 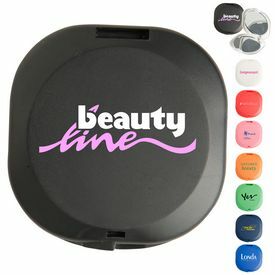 The customized 3 in 1 Kit manicure mirror sets are promotional manicure items. The high quality mirror is shatter resistant. 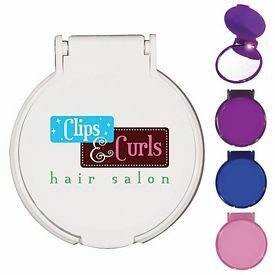 The promo manicure mirror set comes with a hair brush and a pocket mirror. 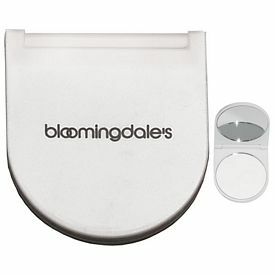 The manicure set- which opens with a twist off lid consists- of nail clipper, tweezers, and a nail file. 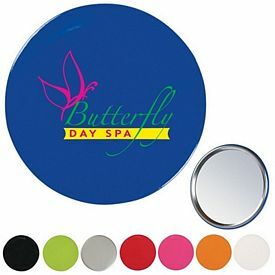 Custom printed manicure sets offer a one color logo imprint with free artwork eproof on the silver, white, royal blue, pink, or lime green pocket mirrors. We charge no setup fees. 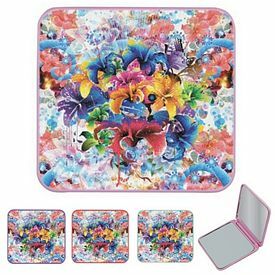 We also have other kinds of 3 in 1 kits. 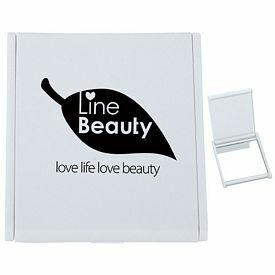 One promotional set consists of pill box, a comb, and a high quality shatter resistant mirror set. The custom pocket mirrors are made of high quality plastic. You can keep your medicines in the pill case which has a twist off lid. 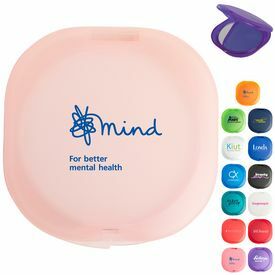 Order the branded advertising mirrors in blue, lime green, pink, or white with a free 24 hour rush service. The branded kwik-fix folding comb mirrors are extraordinary customized pocket mirrors. 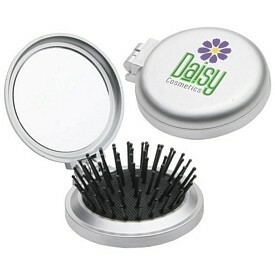 The comb pops out flexibly as you open the case. The opening handle has an inside mirror. 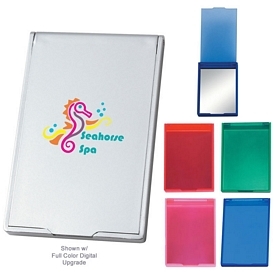 You can get a multi-colored imprint at a small additional charge. 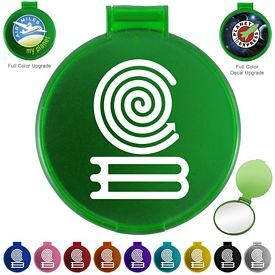 The promotional pocket mirrors are available in bright colors like orange, yellow, lime green, white, black, blue, red, and purple. The rectangular customized advertising mirrors are available in six exciting frosted translucent colors like green, purple, red, pink, blue, and solid white. You can imprint your company logo on the large imprint area. Upgrade to full color digital printing for a stylish look. The compact size aids in customer convenience. We will do a one color logo silk screened imprint on the side, and a free artwork eproof with no set up fees. 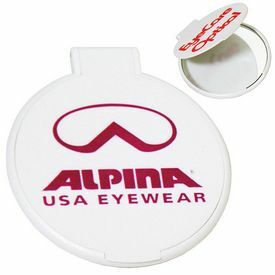 The circle customized pocket mirrors can work wonders for your promotional personal care products. 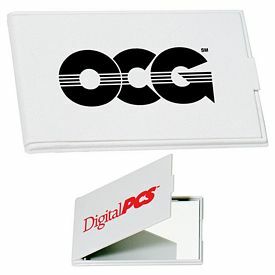 The custom white, sleek design looks elegant and your customers will love them. 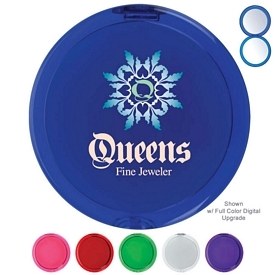 You can get your company logo imprinted in one color on the pocket mirrors without any set up fees.